We’ve been to some fantastic places, some accessible only by boat. Check the Trip Blog to see what we’ve been up to recently, and Past Trips for more photos of other places we’ve been. 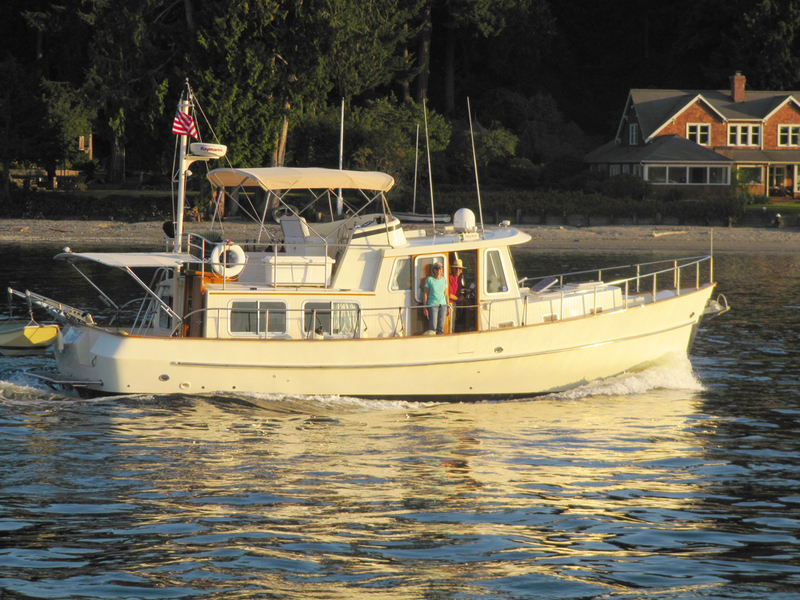 Mischief is an Eagle 40 pilothouse trawler. A capable coastal cruiser designed for use by a couple, built by TransPac Marine in China in 2007. She spent her first few years in Texas, and we had her trucked up to Seattle in September of 2011. We had been searching for the ideal boat for quite a while and had settled on an Eagle 40, but there were none available in our area at the time. The name comes from that of the boat used in the travels of H. William Tillman, explorer of out of the way places. One of Michael’s heros because he usually went to previously unclimbed mountains in places only accessible by a sturdy boat and stout crew. Michael and Karen live in West Seattle. Michael recently retired from a 32-year career at Boeing as a software engineer/business consultant. He is a talented woodworker, and has built two dinghies, because one can never have too many boats. Karen is a graphic designer, and is the ship’s photographer and webmaster. 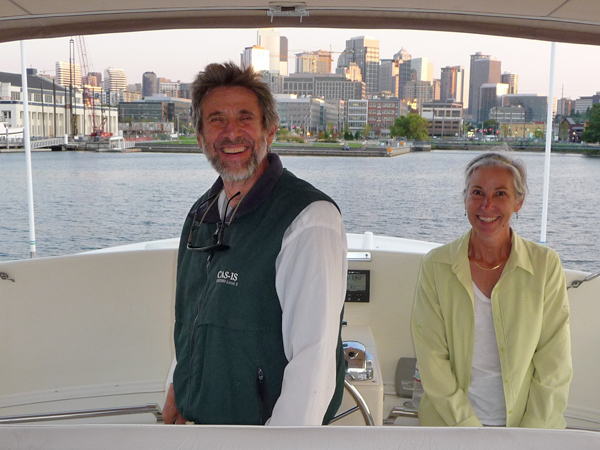 She has her own company called Level 29 Design, which allows her to take time away for extended cruising trips. One of her ongoing projects is working as art director for HARBORS Magazine, which features seaplane and boating destinations in the Pacific Northwest and Alaska. 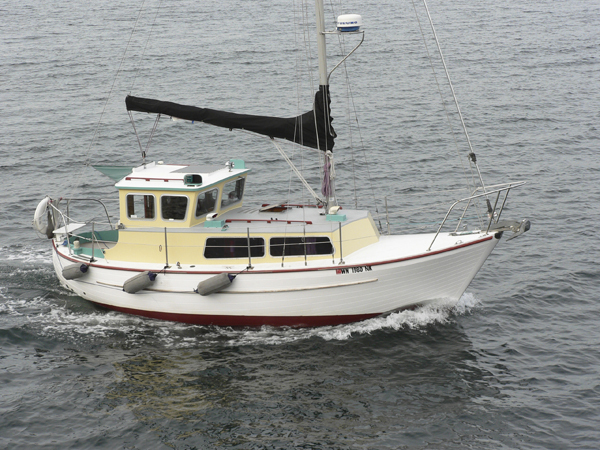 Our first boat was a 25 foot wood motorsailer named Island Drifter, much loved but very small. When we’re out on the boat, we like to hike the remote places accessible only by boat and explore the anchorage by dinghy or by inflatable kayak.